Our business strategy to ensure inclusive growth for all the stockholders for maximum returns with sustainable and responsive approach. We strongly believe in healthy business relationship and adding and sharing values with everyone in pyramid. 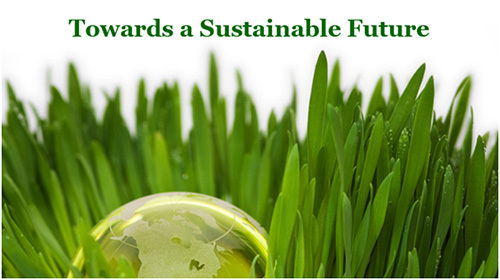 Environment and Society – Try to preserve the surrounding environment and utilize environment friendly technology to take the initiative in the green industry. Promoting more eco-friendly lifestyle and culture. We serve as responsible corporate citizen for social development and fulfill social responsibility to contribute to the society. Stakeholders – Ensuring best trade practices with healthy communication and mutual trust. Nurturing employee’s ability and qualities for their better professional and personal growth. Helping employees to maintain good work and personal life to improve the quality of life. Satisfying the customer with providing more than expected and deliver with them with high quality with respect to information or products. Keeping minimum response time and giving them platinum services. We are spending more than 3% of total profit in the Corporate Social Responsibility activities as part of exclusive growth policy.